Viva UK-Russia Year of Culture 2014! I congratulate you with the UK-Russia Year of Culture 2014 and proudly present this special issue of RussianMind magazine – the first and the only preview publication of the most important cross-cultural events in the UK, which are taking place throughout the whole year in 2014. The Year of Culture is a celebration of the long and meaningful relations between Russia and the UK, it is evidence of the strong cultural alliance of our two countries and their intention to develop new creative projects together. The special issue of RussianMind is the result of the productive teamwork of two organisations – RussianMind and Russian Art & Culture, both of whom are taking practical steps to develop a platform for cross-cultural communication between the Russians and the British. The idea for a Year of Culture has been in the air for a long time and everyone who has heard of it promises various exciting events to be staged at some of the most popular cultural destinations across the UK and Russia, however no one knows exactly what has been planned, where and when it will take place. 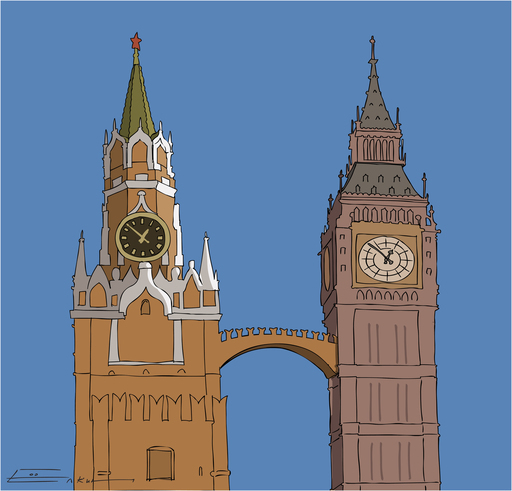 The main aim of RussianMind’s special issue is to lift the curtain on the UK-Russia Year of Culture and unveil the programme, venues and dates. In 2014 Russian culture will be celebrated at public venues across the UK, including the largest museums, galleries, concert halls and cultural institutions. In this issue you could find detailed information about the theatre performances, concerts, ballets, art viewings and exhibitions, auctions, debates, conferences, round tables, festivals, celebrations and many more events not to be missed. We believe that RussianMind will be your good fellow guide in making the Year of Culture exciting and full of new emotions, experiences and discoveries. On behalf of the whole RussianMind team I would like to thank the Russian Embassy in the UK and the British Council for supporting our project, cultural institutions and events organisers for providing “secret” information and Russian Art and Culture for being a very reliable partner. I wish everyone will make the most of the cross-cultural communication and enjoy every next day, which will be different from last. Enjoy the issue and the Year of Culture!